When it comes to e-commerce, leaving a customer happy and satisfied is one of the top essential priorities, because satisfied customers are more inclined to make a future purchase and leave positive reviews. More often than not, e-commerce shops cannot answer every request on time. A lack of instant replies, as well as unobtainable contact information, deters customers from making purchases. Running an e-commerce store is a rewarding as much as it can be a demanding job. Staying on top of every question your customers may have can be one of the most time-consuming tasks. Providing quality products does not always equate to 100% customer satisfaction and repeating orders. And here is how chatbots in e-commerce are beneficial. Being able to operate at all hours responding immediately with customers from different time zones across the globe, allows ready to buy customers be more informed and therefore more confident at the crucial moment when they want to make a purchase. Additionally, chatbots in e-commerce can help with the tracking of each purchase status. Chatbots offer a personalized experience to users by helping them to search for goods. Integrated payment systems allow clients to buy products without leaving the messaging platform. Also, customers can be alerted to updates in their order right in their favorite Messenger. As well, now people do not need to go through the hassle of filling out forms, because a chatbot collects relevant data from users’ profiles and also helps customers with personalized recommendations. Additionally, all necessary information for business improvement and its success will be collected onto a single chatbot. All these features make a chatbot a perfect solution that can shape up the future of e-commerce. Your customers are the source of your revenue. Without them, you wouldn't make a business successful. So it’s important to keep customers satisfied. A more recent customer service study showed that 62% of companies do not respond to customer emails. For companies that do respond, the average response time is 12 hours – well above the one-hour timeframe that customers expect – with the slowest response taking longer than 8 days! There are many customers who come across the same problems every day, or they have similar questions that can't be answered without any help. This is why they contact customer support. These representatives of customer support face repeatable work on a daily basis. Small, medium and as well as large enterprise sized companies alike can often find themselves with their problems dealing with customer service. In general, there can be times when clients need to wait for a response past the expected time frame or even on occasion not receive a response at all. Overall, this leads to negative reviews and a dissatisfied level of customers. 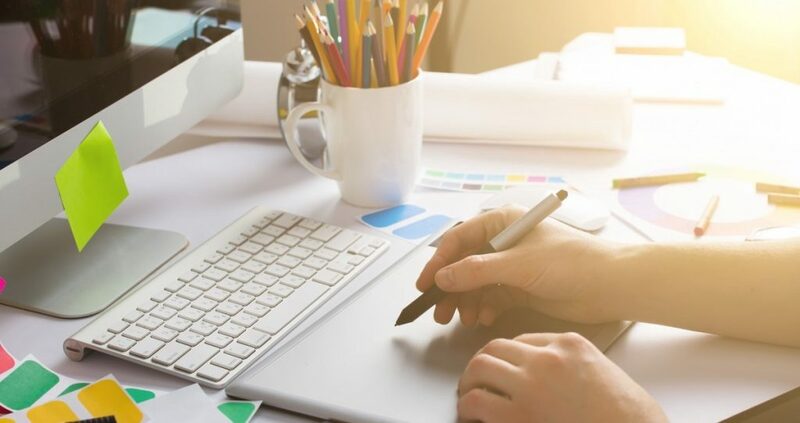 Enterprises can maintain high-quality customer service, but, this is due to the considerable volume of workers dedicated to customer support, which requires a substantial amount of money resources. Summing up the matter, we can understand that such approaches are time-consuming and not cost-effective. Bots are one of the most efficient ways to improve customer service. Chatbot in customer service can answer up to 80% of routine questions. Plus, chatbots call for a brilliant solution for 24/7 service, they are speeding up response times, freeing agents for more challenging work. Besides, this is an effective way for brands to have a one-on-one conversation with their customers. And one more crucial advantage, chatbots are great for collecting data that you can use for improving your business. In Real estate, communication with customers plays an essential role. This is a relationship-oriented industry by nature. Real estate agents need to identify serious potential home buyers amongst a crowd of curious browsers. However, a chatbot can help find the qualified leads for you allowing you to exert your time and effort engaging customers those more adamant about making a purchase. This is why we can say the industry is faced with a personalization problem. 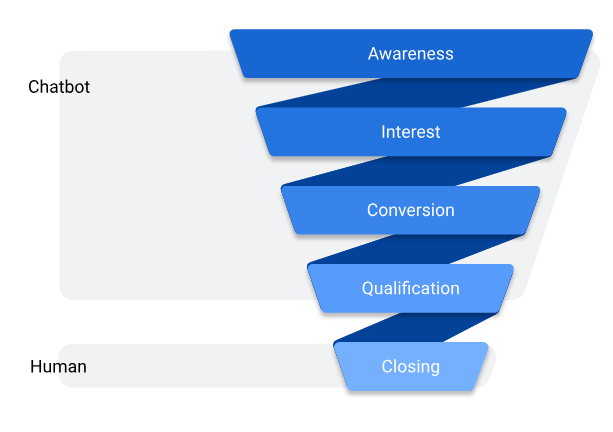 Let's take a look at the typical real estate sales process funnel. In the awareness stage, people have the overall details about the available property. 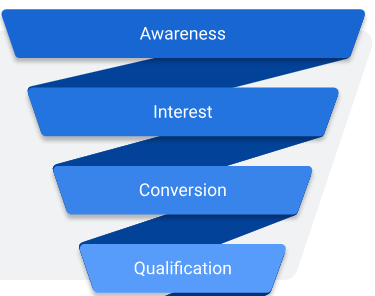 Moving on to the sales funnel, people are engaging with your property listing. 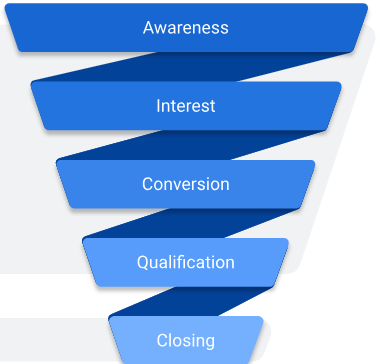 ...This will be followed into the qualification stage where leads would be converting to opportunities that are willing and able to close on a deal. And finally, at the closing stage, you can successfully close your deal. So, at which stages can a real estate bot be involved? 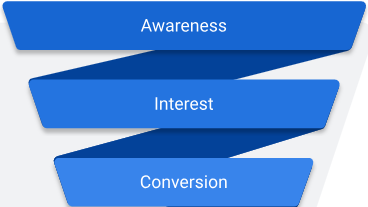 Thanks to its opportunities, a chatbot in real estate can be involved in four of the stages: awareness, interest, conversion, and qualification. This would leave the real estate agent to be able to focus on closing the deal. In the travel industry, chatbots have already succeeded. They are capable of solving queries in real time. Customers can buy airline tickets or book hotel rooms using chatbots. More than that, they act as personal travel assistants - a travel bot can send reminders about your flight, check-in time, as well as suggest nearby sights and attractions. This is what the travel platform Musement has made. Since Musement is a B2C business, they understood that almost 100% of their customers are using messaging apps. That is how they came up with the idea to develop a chatbot for FB Messenger - to be closer to their customers. The main purpose of the chatbot is to help users find the nearest exciting attractions in their area without having to leave their favorite messenger. This FB chatbot was a new channel for Musement`s customers. And I would like to mention, Musement has raised $10m of investments and was highlighted in TechCrunch. Another great “representative” of chatbots in travel industry is Calibot. Some people need a source of inspiration for where to destine to head for vacation. This travel bot is a good way of giving that encouraging leap by providing recommendations of various tours and places to have fun. A user using Emoji answers on a few questions. A chatbot searches for the best matches based on users’ replies. That’s why a chatbot as a personal travel assistant is one of the best solutions in building a company brand because it can be first to engage with your client. Frankly speaking, the Law industry can deal with a time-consuming routine for attorneys. The McKinsey Global Institute has found that 23% of a lawyer’s job can be automated by utilizing a technology such as chatbots. Which task could be automated in the law industry? What about - generating legal documents? What is the standard procedure? Traditionally, a client would meet with a lawyer. The lawyer would then collect all the necessary data for generating a document. Afterward, the lawyer would create a document according to the client’s specified criteria. Usually, this step could take from a few hours to perhaps even several days. Let’s not forget, every hour with a lawyer is expensive. Not everyone can afford to spend a small fortune on lawyers, and even those who can afford to pay a considerable amount of money, still have to wait quite a considerable amount of time to receive the documents. Imagine, if clients’ documents are prepared not in 3 hours, but let’s say in 3 minutes. A chatbot lawyer generating legal documents can drastically cut down on time and work pertaining to individual clients. A lawyer could then help more clients given a shorter time between while overall driving down the costs for individual clients as well. Wills, business structuring, and estate planning; Chatbot lawyer can do all of this and more, instantaneously and correctly. Using chatbots in this way drastically cuts down on lawyers’ time spent at the office while saving money at the same time. And it’s not just generating documents a chatbot could play a part of, but also a chatbot can help with booking appointments, consulting or even answering complex law questions. Let’s move to the chatbot examples. Let’s have a look at a successful example of an AI lawyer. It goes without saying, lawyers aren’t cheap. If the occasion were to arise, you would need to shell out more than you would wish for something simple as seeking lawyer's advice or creating legal documents. Australian Law firm, Cartland Law, has succeeded to solve this problem through means of a chatbot. Lawyers’ work requires quite a bit of mundane and repeatable tasks that do not need much given thought. And people are paying big money for that. 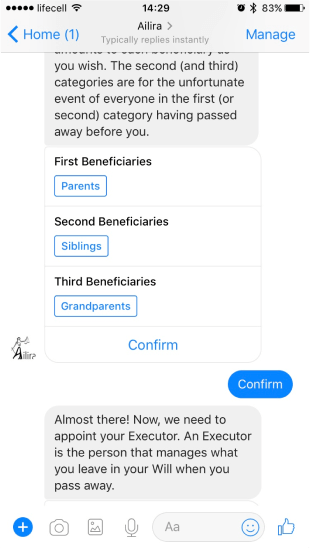 Artificially Intelligent Legal Information Research Assistant or Ailira is a Facebook Messenger and Website chatbot with the ability to answer on varying law questions and helps you with will planning, business structuring, and with other legal issues. She understands natural language and responds in plain English with relevant legal answers. Today, people in Australia are starting to talk even more about the AI influence in the Law Industry. ABC News made a reportage about Ailira. They have invited a paralegal to compete against Ailira on a pretty complex task. ABC News has prepared a complicated tax question and gave it to Paralegal and Ailira. The results were striking. Ailira found an answer in 30 seconds while the paralegal was far behind in her search. Also, Cartland Law opened a legal office without lawyers, which has been operating successfully since last year. Сustomer service, real estate, law, travel and e-commerce companies are coming to an understanding of the benefits of artificial intelligence and starting to implement chatbot technologies into their working process. Chatbots have already made a significant impact on these six different industries, and they are starting to take upon other business areas. In this article, we have gone through the advantages of chatbots in different industries and looked at some successful examples. In our next lecture, we will demonstrate how to start the chatbot development process.